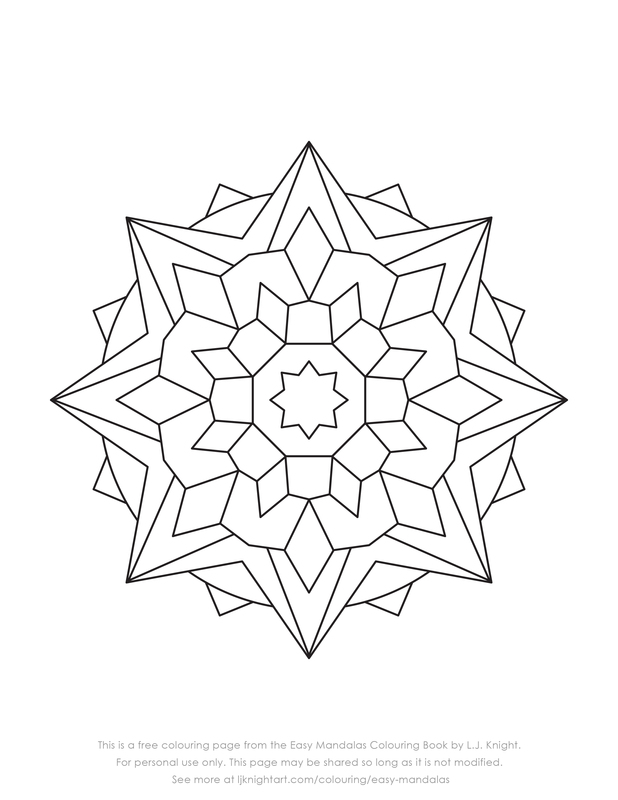 Here is a free colouring page from my second book, Easy Mandalas. This book has 50 original mandala designs that are simple to colour, so it’s perfect for beginners as well as more advanced colourists who prefer designs with larger spaces for shading and blending. This is an 8.5 x 11 inch page, and can also be printed on A4 paper. It’s free for personal use only, although you can share it so long as the text at the bottom isn’t removed. To download this free mandala page, right click here, or click the image below, and save it to your computer. This entry was posted in Books & Colouring, Downloads, Updates and tagged Colouring Printables, Free Colouring Pages, Mandalas.